The iDol drone is made out of PVC materials and features a compact build which is quite convenient to carry, thanks to its relatively compact dimensions 226 × 144 × 48 (mm) and 360-gram weight. 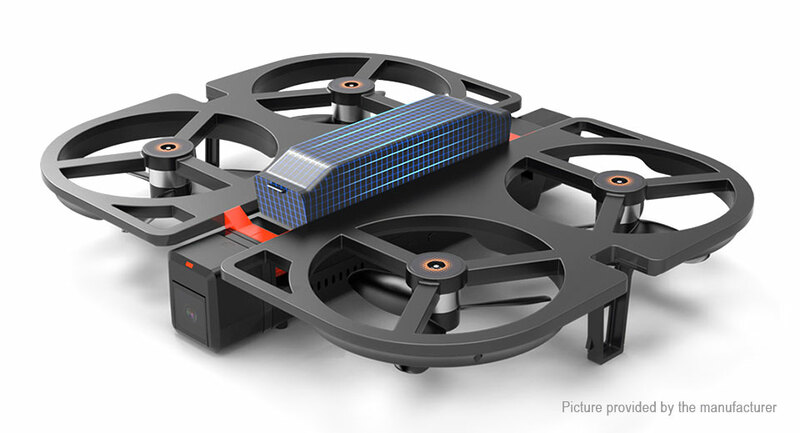 The iDol drone comes equipped with a 1,800 mAh battery which delivers a flight time of approximately 10 minutes with a recommended indoor flight range of 50 meters. The iDol drone comes equipped with a GPS and barometer among sensors which work in tandem with technologies like the optical flow and ultrasonic positioning to facilitate smooth flight and landing. The drone is capable of vertical as well as angular take-off, and can also perform the 360-degree overhead hovering trick.